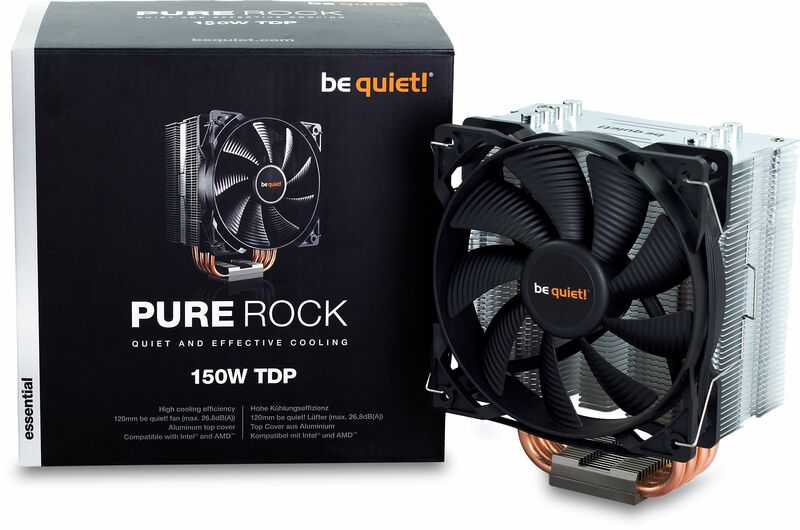 be quiet's Pure Rock a compact quiet CPU cooler for Intel and AMD which provides excellent performance at a very attractive price. With Pure Rock, be quiet presents a CPU cooler series aimed at the Essential category of PC systems. Bringing be quiet’s award-winning technology to quiet multimedia and graphics systems and entry level computers of all types. Pure Rock delivers an exceptional price-to-performance ratio. Pure Rock’s compact design is compatible with all current Intel and AMD sockets and fits well into tight spaces. 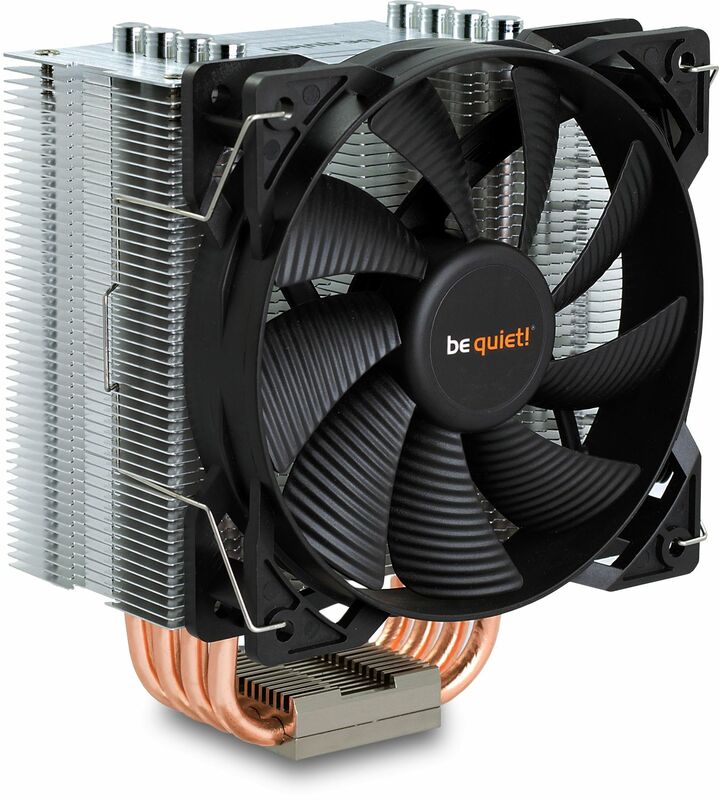 Put famous be quiet technology into your PC today for low noise operation and excellent cooling performance at the entry level segment. If you are seeking the best possible mix of performance and price in the Essential CPU cooler segment, your search is over. Pure Rock simply has to be your choice. High cooling capacity for this category, at 150W TDP. Four 6mm heat pipes with aluminium caps carry heat to cooling fins for high performance. Compact design saves space, making the cooler compatible with a vast array of possible installation configurations. Design supports mounting from atop the motherboard, greatly increasing convenience. Compatibility with all current Intel and AMD sockets. Nine blade silence-optimised 120mm be quiet PWM fan. High-quality sleeve bearing optimised for quietness and supports the best balance of cooling performance and low noise operation. The fan blades have been designed to reduce noise-generating turbulence. Even at 100% PWM function, noise is a scant 26.8dB(A).